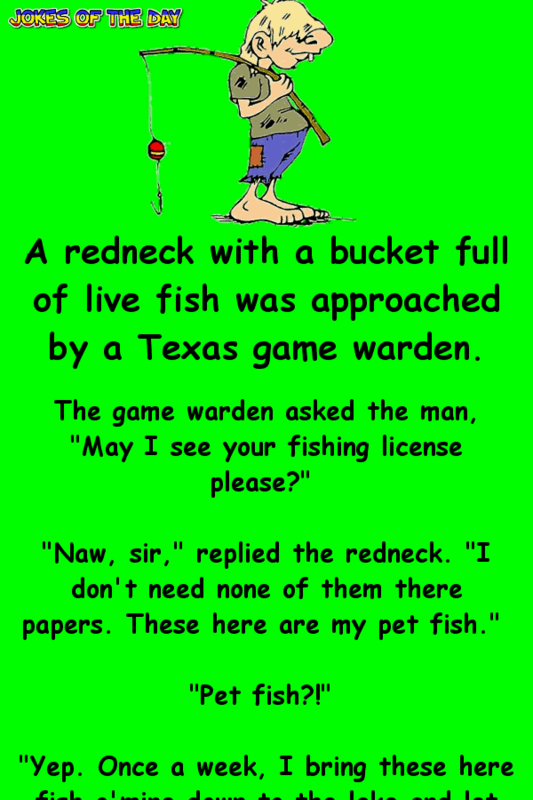 A redneck with a bucket full of live fish was approached by a Texas game warden. “Well, WHUT?” said the redneck. “The FISH,” replied the warden! “Whut fish?” asked the redneck.